The offset allows the clamp to "bridge" over the hose's wire helix, providing a much better seal than standard band clamps. These are top quality 201 SS bridge clamps. 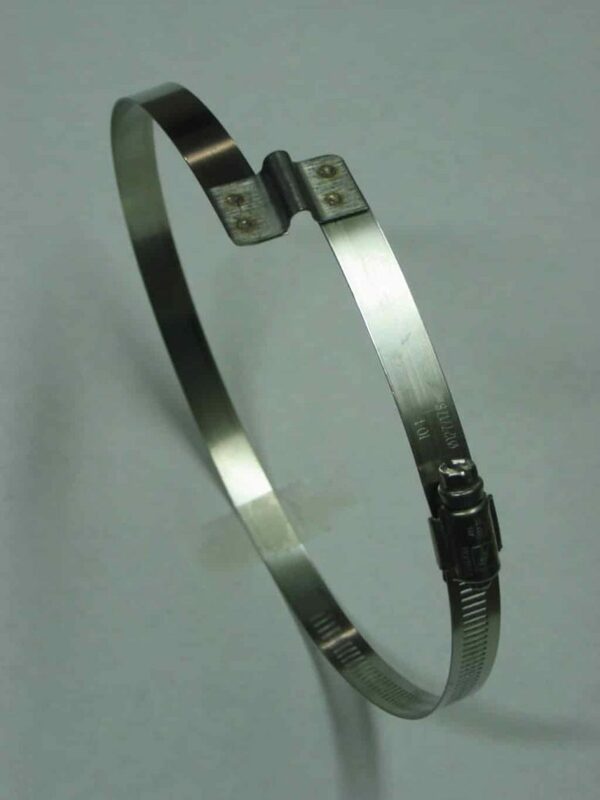 Note, we stock both Right-Hand and Left-Hand Clamps to match most manufacturers. Please call before ordering if you are using these on a non-Wynn Environmental hose.